Everything for a sustainable heating and refrigeration from a single source. 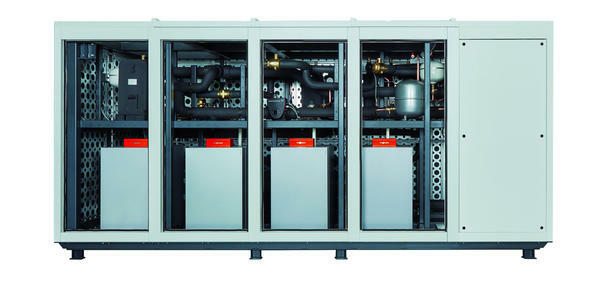 The integrated, extendable energy system is based on the use of highly efficient, series manufactured Viessmann heat pumps with natural refrigerant R290. They possess the necessary technology to refrigerate rather than generate heat, thus providing economical refrigeration in shops. In winter, the heat from the refrigeration system can also be used to heat the building. For further details see the Viessmann ESyCool green brochure. Interested? Let us be in contact.